The 10 Best Tanning Salons in Mississippi! Everyone looks better with a sun-kissed glow. If getting outside isn't an option, it's time for some great alternatives. A good tanning salon will help you determine the length of time under the lamp to give you the look that's right for your skin tone and base tan. Here are our picks for the 10 best tanning salons in Mississippi. Reservoir Tan & Salon in Flowood is one of the Jackson area's premier places to get glammed up. This locally owned and operated salon is known for having the friendliest staff in town and well-maintained beds and bulbs. Try all of their beds until you find the style you like the best! At Posh Salon & Spa, you'll find everything you need to look your best, from hair and nail services to massages and, of course, tanning. 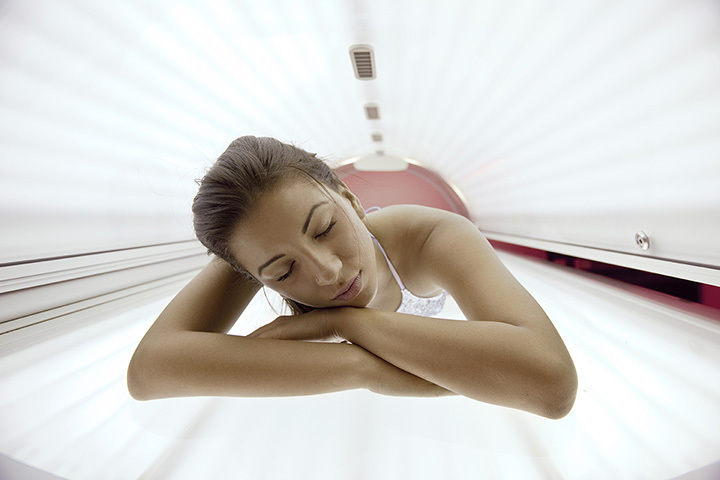 Their tanning beds include traditional, stand-up, and The Matrix, the only high-pressure tanning bed in the state. They even offer airbrush tanning! Pin-Up Spa and Boutique is a unique combination of a clothing shop in the front of the store with a fully-functional spa in the back. In addition to waxing, microdermabrasion, and eyelash extensions, they offer eco-friendly Norvell spray tans. Bronze Beach Tanning in Hattiesburg is the kind of locally-owned business you feel good about supporting. The staff is friendly, the atmosphere is calming, and the tanning beds are well-maintained with bulbs that are changed regularly. Be sure to keep up with their monthly specials! If you live in northeastern Mississippi, you'll want to visit Tupelo's Magical Tans & Spa. They offer four levels of tanning, as well as high-pressure and spray tanning. They also carry a full line of tanning products to help you get the very best out of your visit! Golden Glow Tanning Salon in Columbus was recently voted “Best Tanning Salon in the Golden Triangle,” and it's easy to see why. The decor makes you feel transported as soon as you walk in the door. The staff is always focused on the customers' experience, and they even offer a daily special! With it's soothing teal walls and bright sunset-inspired pops of color, Sunset Images Tanning Salon in Vicksburg will make you feel relaxed every time you visit. Their beds are the most up-to-date equipment available in the area, and they regularly run specials. Check out $2 Tuesday! Endless Summer Boutique & Tanning Salon in New Albany is the kind of place you go when you want to feel like part of the family. The ladies who work here always go out of their way to make you feel welcome. In addition, their gift shop is stocked with fun items like purses, scarves, and other fun accessories! Southern Allure is a family-owned business in Hattiesburg. Their charming little shop invites you in from the road. The staff here will be more than happy to help you choose the right tanning solution for you, and you'll enjoy browsing through their trendy boutique every time you visit. The Pink Coconut is a fun salon and boutique in Forest, Mississippi. Visitors love the great service they get, not to mention the way they look when they leave. When you visit, be sure to take full advantage of the tanning specials, charming boutique, and full dose of Southern charm.